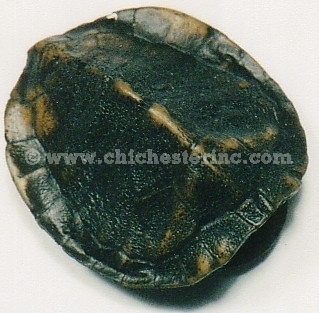 These reproduction (i.e., not real) small turtle shells are some of the best quality on the market today. 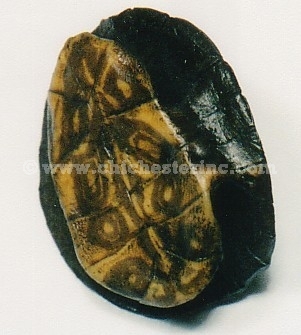 They are made using plastic resin and are then hand painted. They measure 1 3/8" by 1 1/4".